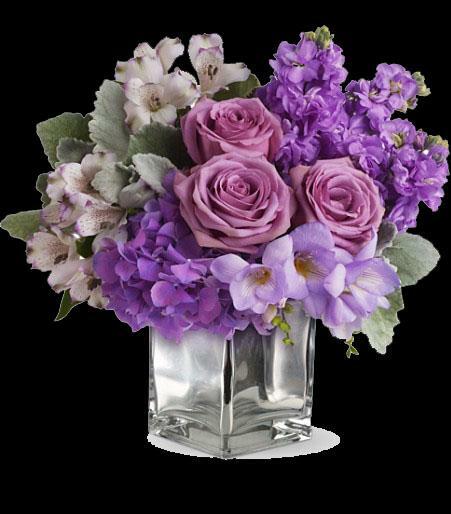 Lovely lavender hydrangea, roses, alstroemeria, stock and freesia arrive in a magical Mirrored Silver Cube. As sweet as a sugar cube! Approximately 12 1/2" W x 11 1/2" H.